BRAND NEW CARPET WITH UPGRADED PADDING! Gorgeous Two-Story home built in 2011 with 3 car garage located on a premium lot in the gated community of Kensington Isle! 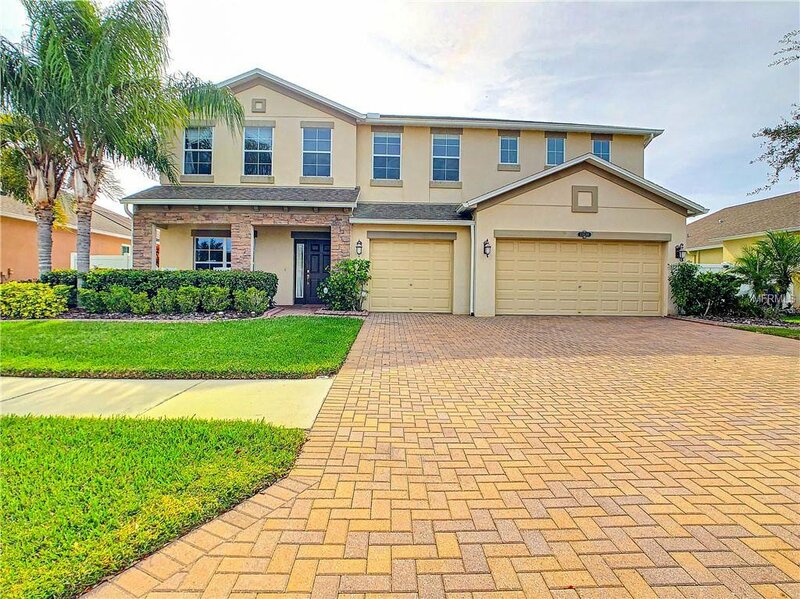 With close proximity to local beaches, Seminole City Center, and walking distance to Bauder Elementary & schools, this 4-bedroom home (could be 5 if convert a room downstairs) with stunning travertine patio and solar-heated pool (PebbleTec finish, Waterfall, Jets and Sunshade Area) and a Super Large Screen Enclosure is the perfect place to call home! Spacious and well designed, the first floor features an open concept with a formal dining room, family room, guest bedroom, guest/pool bath, and large kitchen that includes abundant counter space, upgraded cabinets, granite counters, breakfast bar and an oversized island. Upstairs you will find: a large loft; a massive master retreat with sitting area, en suite bath with double vanity sinks, garden tub, and separate shower, along with a huge walk-in closet; 3 additional bedrooms; a guest bathroom. Laundry room has featured E-Zone. Upgraded features like stainless steel appliances, Hand sculpted hardwood flooring, Hardwood Stairs, dual pane energy-efficiency windows, an oversized 3 car garage add extra-special touches to this immaculate home. The large backyard has plenty of space. One of Owners is a realtor. Transferable Home Builder’s Limited Warranty and Roofing Shingle Limited Warranty. This Energy Star Qualified Home and FGBC Certified Home with dual zone climate control is a MUST SEE! Listing courtesy of FLORIDA MORNING REALTY LLC. Selling Office: REALTY ONE GROUP ADVANTAGE.